We have established our STEM Ambassador Group based in A-one+ MAC Area 12. This group brings together registered STEM (Science, Technology, Engineering and Maths) Ambassadors and those interested in career skills development and promoting engineering. Cementing our commitment to this initiative, the group is chaired by our Human Resources Director and local senior managers. We originally started with four STEM Ambassadors. Following our work in 2014 promoting this area of skills development internally, we increased our number of STEM Ambassadors to 16, a 300% increase in less than 12 months, allowing us to sustain and amplify the benefits delivered by the group and contribute more to addressing the industry skills shortage. Each of the Ambassadors have now committed to undertaking activities in line with STEM objectives. For example in the past 12 months we have directly engaged with 440 primary school and 706 secondary school children in the Yorkshire and Humber region through visits building everything from giant tetrahedrons to small bug hotels. As well as the benefit this work brings to the company, wider industry and community, we have found that getting involved also ignites our employee’s personal skills development, particularly people skills, communication, organisational and presentation skills, aiding career development and preparation for professional review. A recent example of ambassadorial activity celebrated women in engineering as part of National Women in Engineering Day in June 2015. 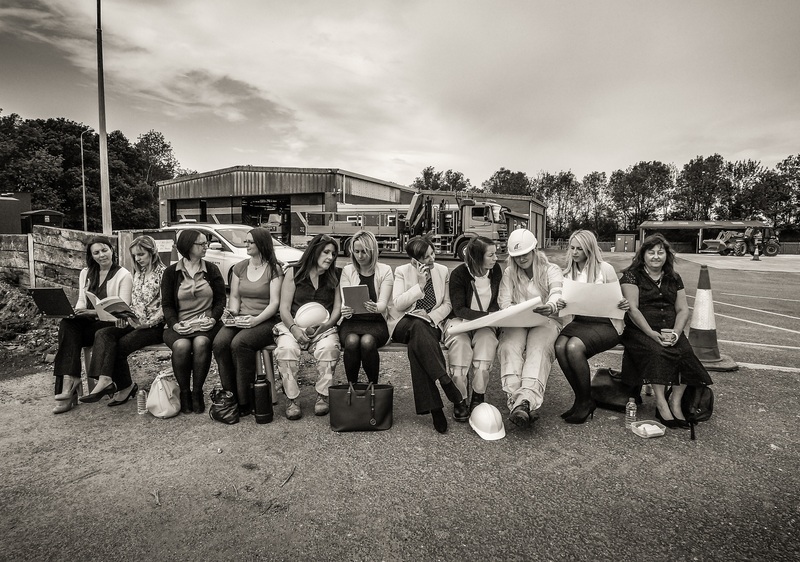 This included our own version of the famous ‘Lunch at the top of a Skyscraper’ photo with women drawn from the business.